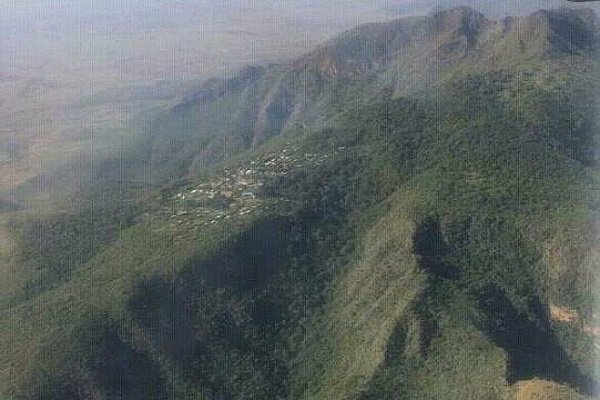 Unidentified gunmen are reportedly attacking Aba Samuel monastery in Meiso district of West Hararge in Southeastern Ethiopia for over a week now, according to Hara Ze Tewahdo – a source known for covering Ethiopian Orthodox Tewahdo Church news. The gunmen are identifying themselves as Oromo Liberation Front (OLF) soldiers and are camping in the areas surrounding one of Ethiopia’s medieval times monastery. The source cited monks in the monastery as saying that the gunmen are firing at the monastery in the evening in what seem to be an effort to make them leave the monastery behind. Number of the gunmen camping in the area is estimated to be twenty-five, added the source. The source also cited Monks from the Monastery as saying that they have tried to bring the matter to the attention of authorities in Meiso District. “Why don’t you vacate the place; you are occupying land that belongs to others” is the response they get, according to Hara Ze Tewahdo report. They have tried to escalate it to a higher authority at the Zone level to no avail. Now they are calling for regional and Federal authorities to step in and protect one of Ethiopian Church’s sacred place from the gunmen. Apparently, both levels of government have not yet responded to the situation , and the issue was not covered by state media. There have been repeated reports of anarchy in the region for several weeks now. Residents of Harar city, tourist attraction for being historical, has been left without water for over a week after groups who call themselves “Qeerroo” (they operate in Oromo region of Ethiopia) shut the water to the city demanding reportedly demanding millions of birr in ransom before they open the water to the city. One Response to "Gunmen reportedly attacking 13th century Aba Samuel monastery"
why not you present a balanced report? Why not U ask those U accuse ?